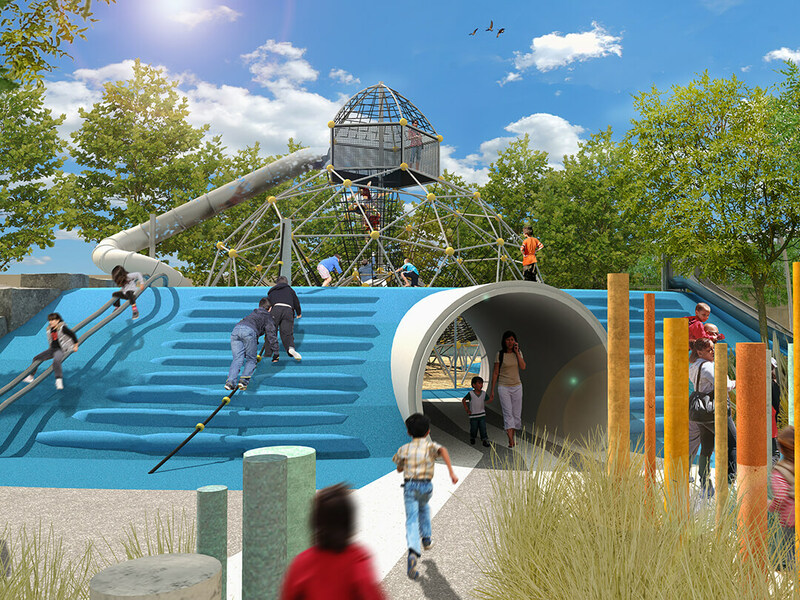 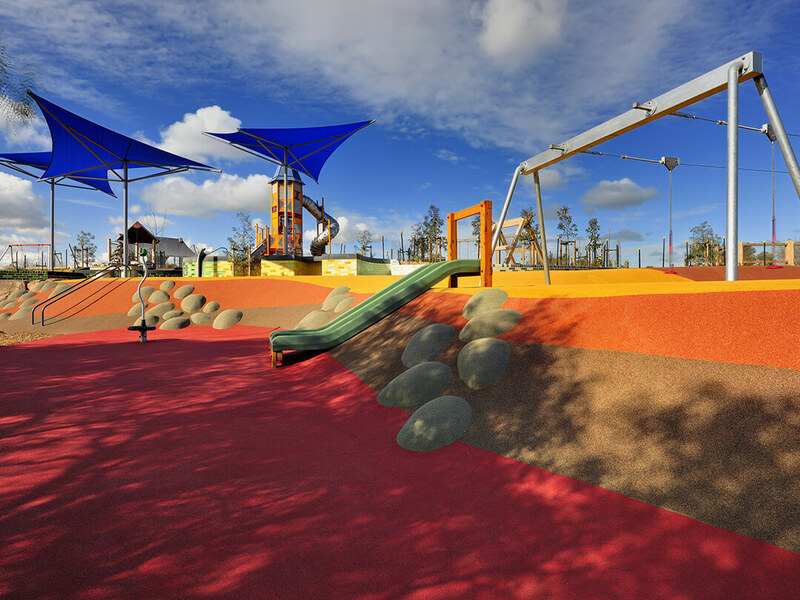 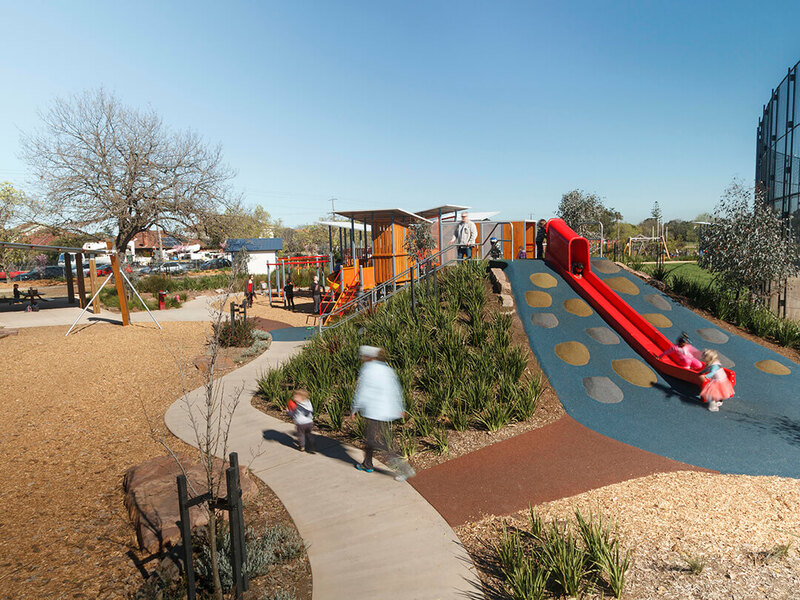 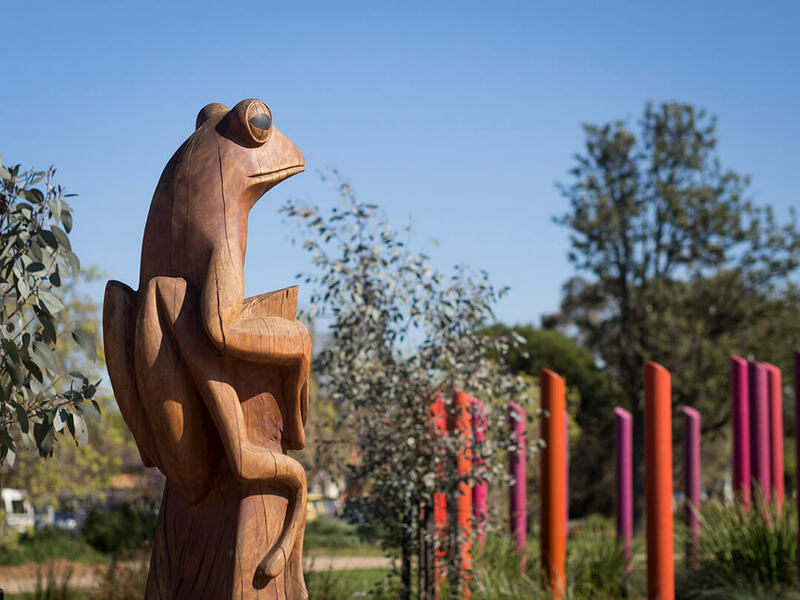 The name of the park is based on the Aboriginal word ‘Mirambeena’ meaning ‘Land of Frogs’ which inspired a number of sculptural elements to embellish the value of play and add enthusiasm amongst children and families. 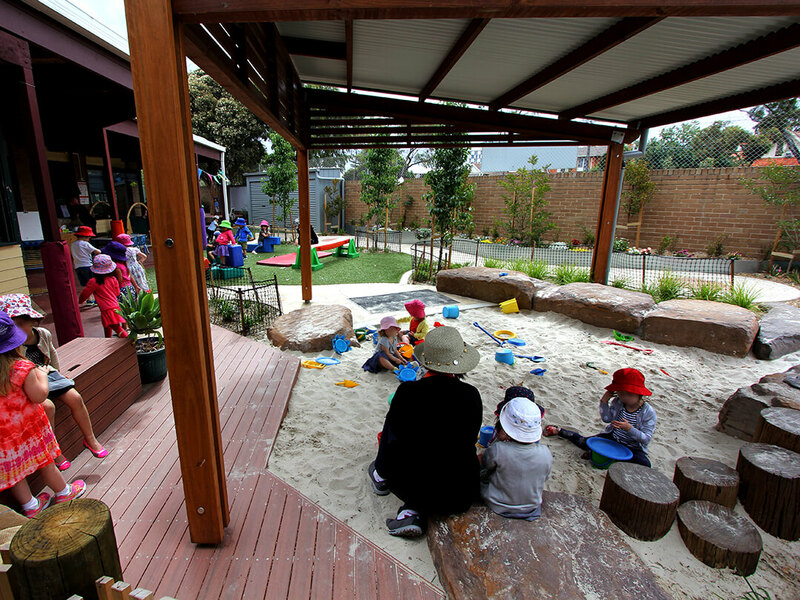 The space provides a framework for children and carers to explore and discover. 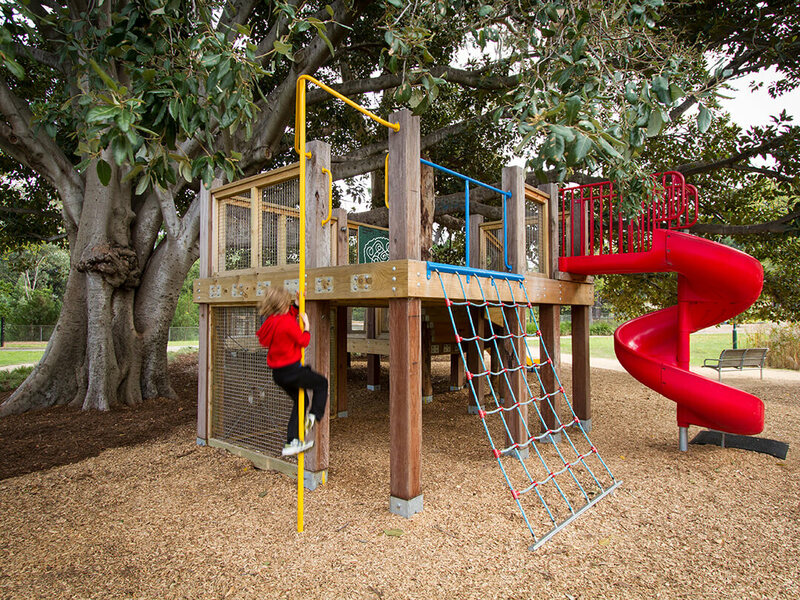 Active play elements include a flying fox, combination play units, spacenets, embankment slides and multiple types of swings. 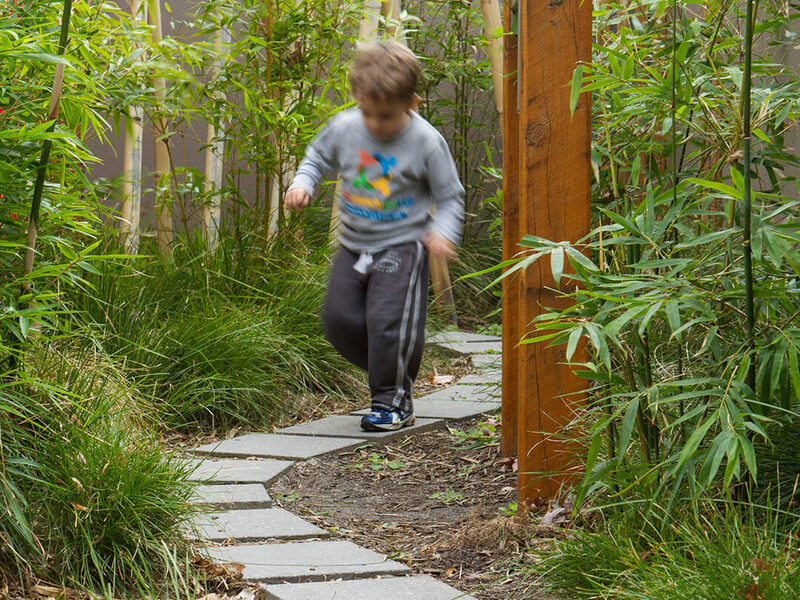 Cubby houses, sound activated elements, labyrinths, forests and bridges over ephemeral rocky swales interconnect to facilitate and encourage exploratory play. 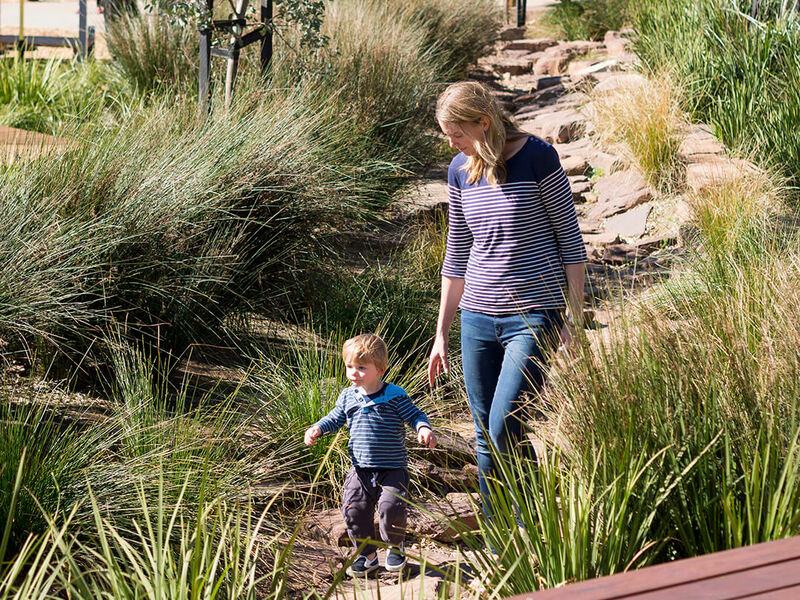 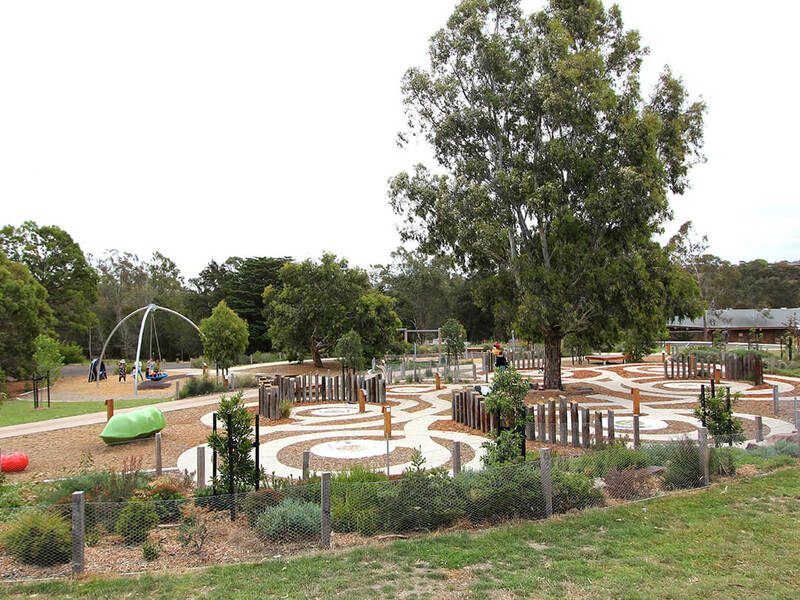 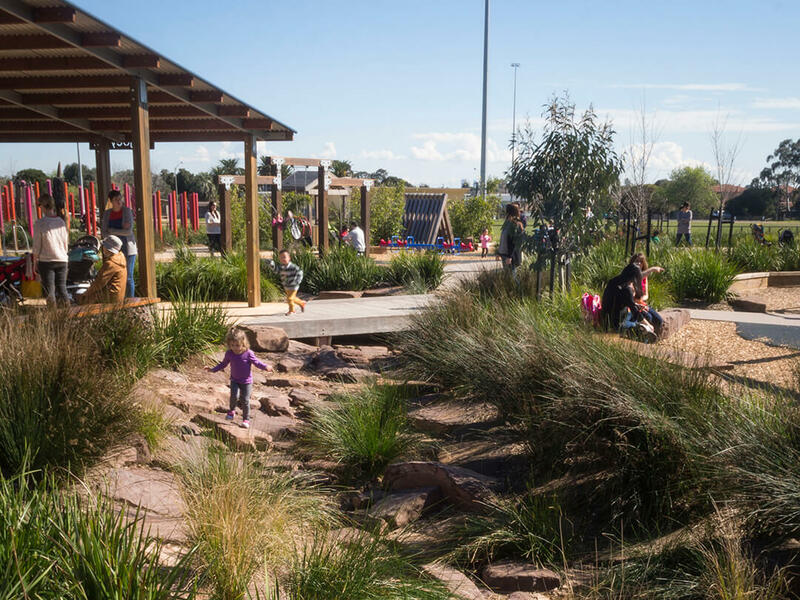 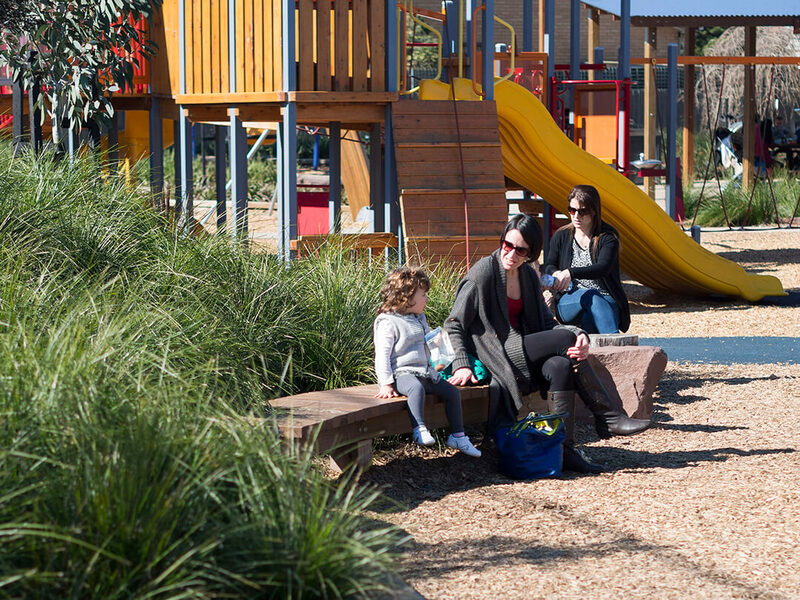 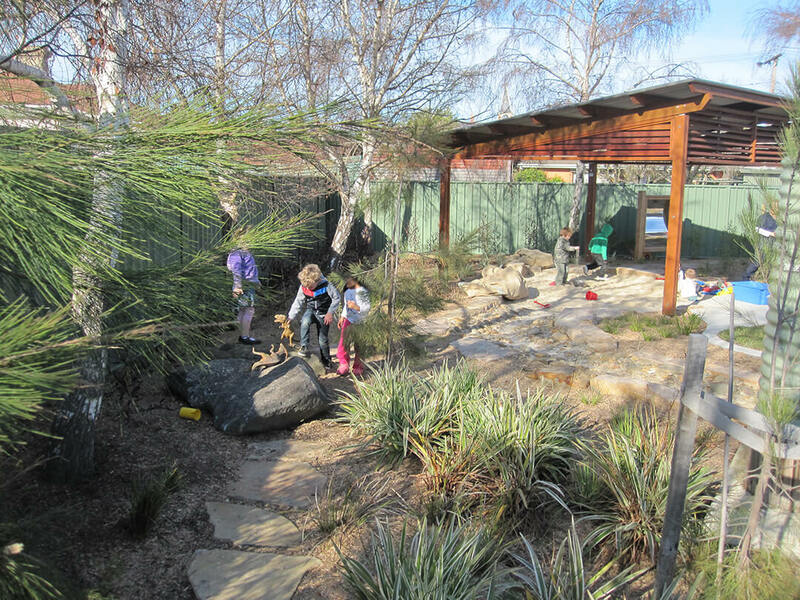 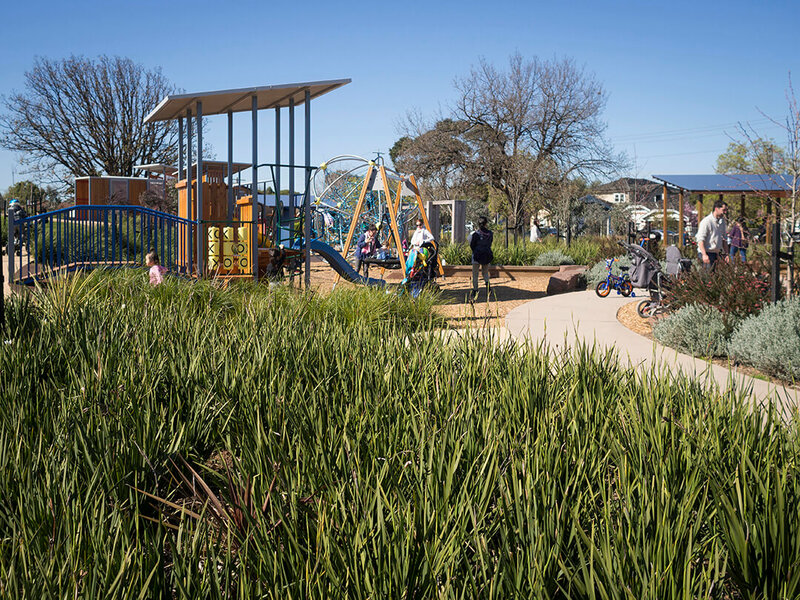 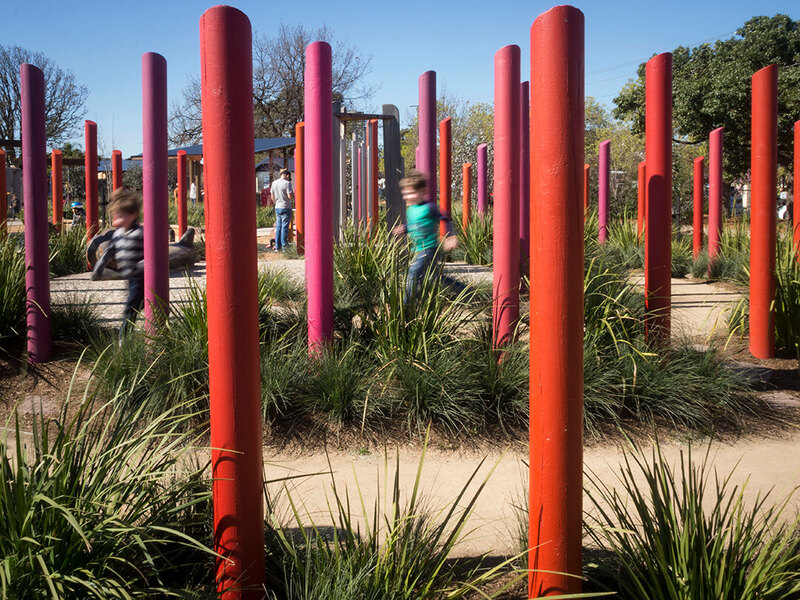 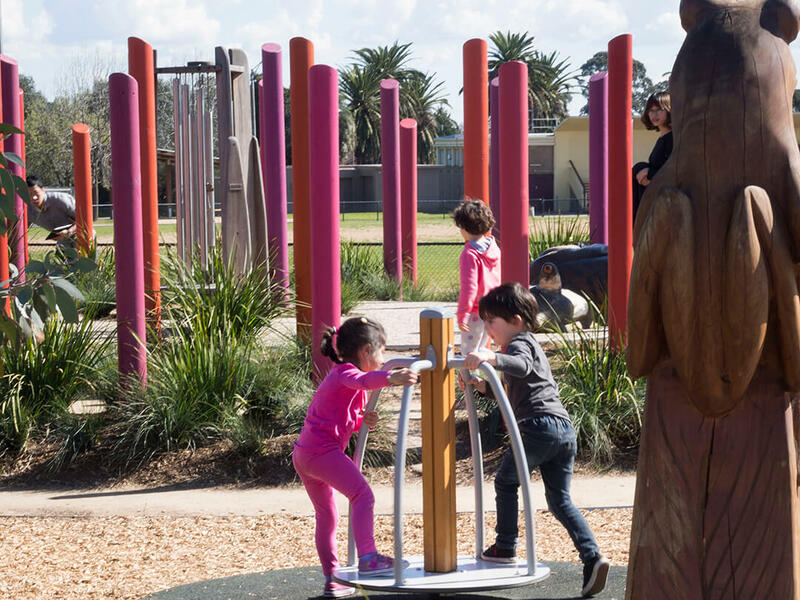 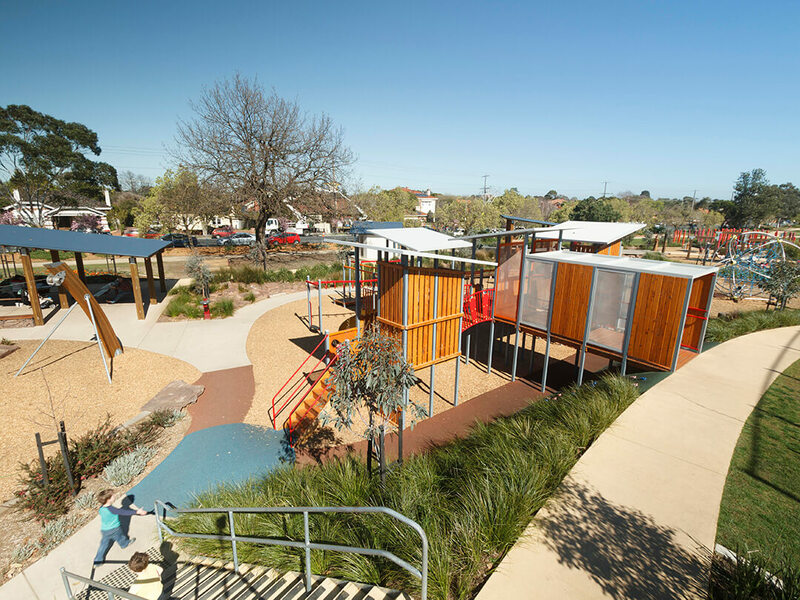 The naturalistic playspace is highly accessible and is becoming a much-loved destination for families within the City of Glen Eira and beyond. 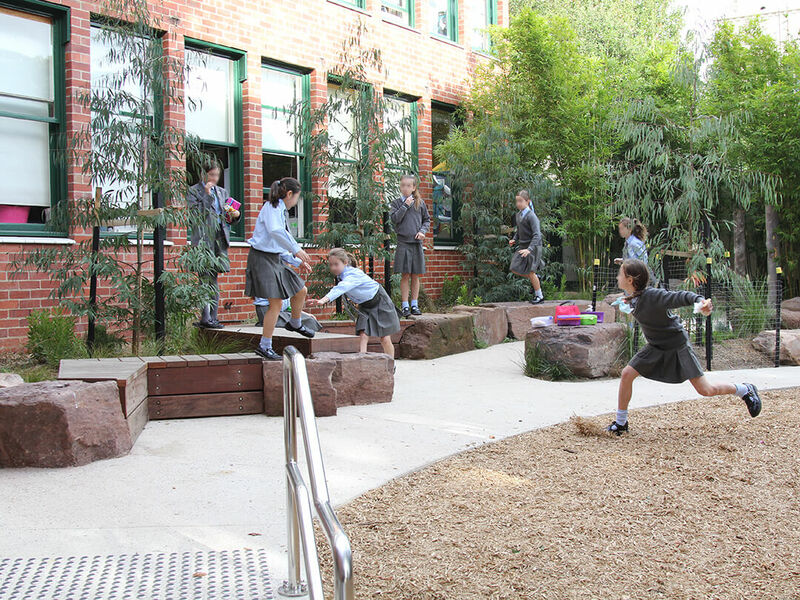 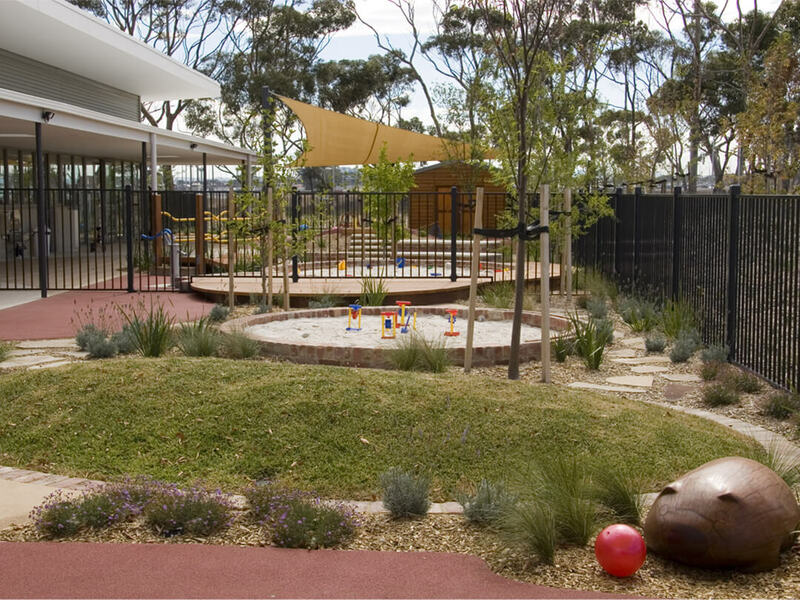 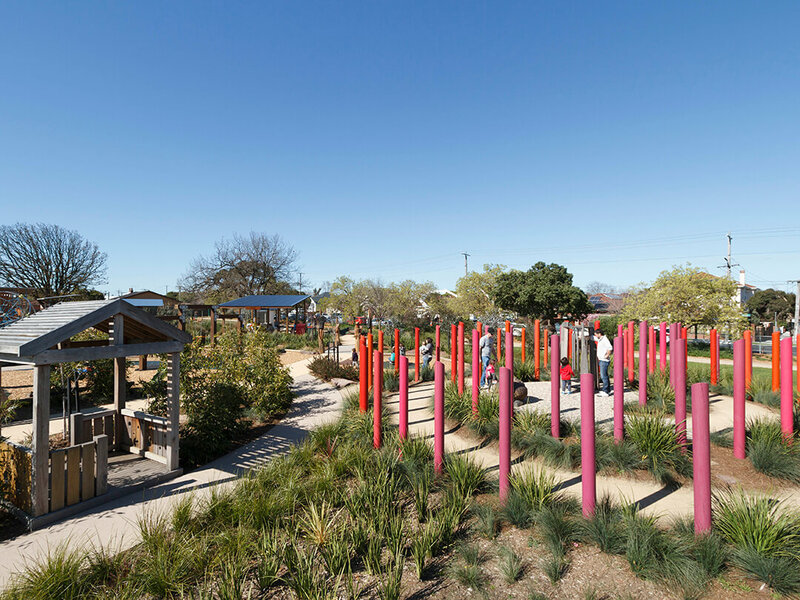 The playspace is an award winning project and has received much acclaim and recognition.